Description: A Watts link locates the rearend housing and eliminates lateral axle movement by keeping the differential perfectly centered under the car through the suspension’s entire range of motion. Add the ultimate lateral differential location device to your fourth-Gen GM F-body with a Body-Mounted Watts Link from BMR Suspension. Manufactured from heavy-duty 1 5/8-inch and 1-inch, 0.120-inch wall DOM steel tubing and 1/4-inch laser-cut steel plate, BMR’s Watts link (WL002) is the ultimate in strength. The axle mounts are built from heavy-duty 1x2-inch square tubing with 3/16-inch laser-cut steel gussets. Double sheer link mounts connect the adjustable links to the center pivot. These mounts give you tons of strength and zero deflection. Other companies take the easy route, sacrificing strength with single sheer mounts. BMR’s center pivot is fabricated from ¼-inch laser-cut plate steel with 1 5/8-inch DOM steel tubing. It uses a double sheer mount to the crossmember with a greasable Delrin bushing for smooth, bind-free movement. The links are built from heavy-duty aluminum with left and right hand threaded 5/8-inch rod ends for easy on-car adjustability. The WL002 features zinc-plated, X-series, heat-treated, chrome-moly, self-lubricating, Teflon-lined rod ends. It also features 304 stainless steel, custom designed rod end spacers. BMR Suspension designed the WL002 to work well for street performance and handling applications. The WL002 is 100-percent bolt-in and requires no cutting or modifying of the fourth-Gen chassis. The Watts link is adjustable, allowing for fine-tuning and the bind-free suspension articulation needed for superior handling. The center pivot can be installed in any of the six positions for multiple roll center locations. The WL002’s heavy-duty construction will hold up to the most extreme conditions on the track or street, greatly improving the handling capabilities of your F-body. 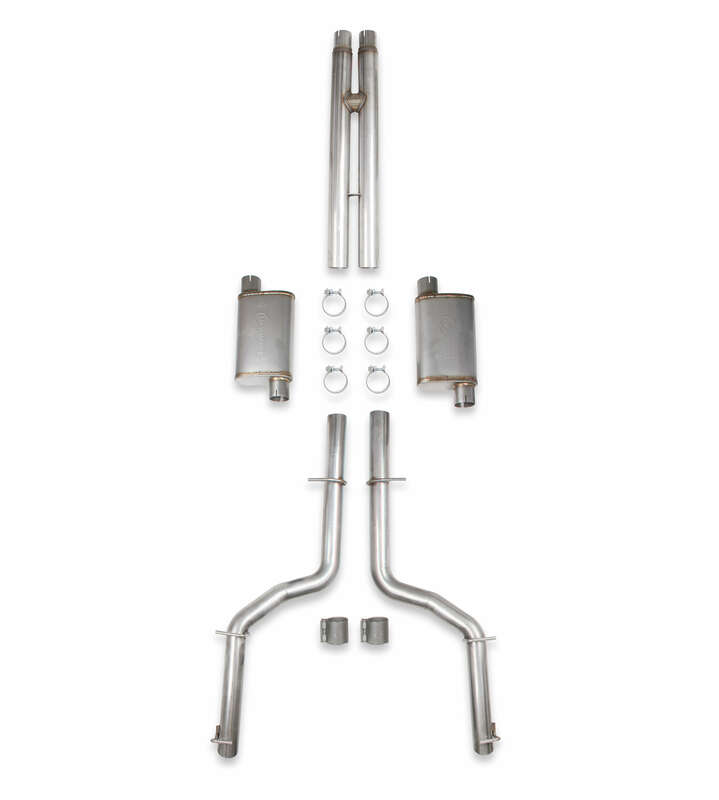 With strength, adjustability, and zero lateral axle movement, this is the perfect upgrade for the enthusiast that requires maximum performance from their suspension. When performance is a must, rely on BMR Suspension! 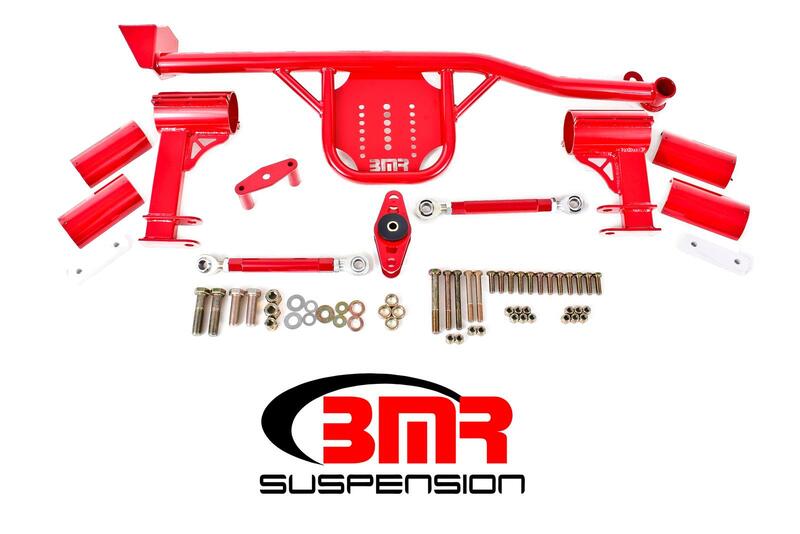 BMR Suspension’s WL002 Body Mounted Watts Link is available in black hammertone and red powdercoat for long-lasting good looks. Installation time is 3-4 hours. Proudly made in the U.S.A.